The stars of our primary school menu! Chosen by over 25,000 Chartwells children – our Food Super Heroes are there to educate, excite and delight students every lunch time. Inspired by the high street, they're great for getting across nutrition messages at an early age through each character’s special powers. We’d like the characters to become well known to you too, so when your child mentions Sadie the Sweetcorn you’ll know exactly who they’re talking about! The cast of colourful characters really come to life at lunchtime. Food Super Heroes feature on the menus, on activity-based place mats and stickers - it’s all part of feeding both your children and their imaginations. Doc the Kiwi knows just what the team needs to keep on top of its game. 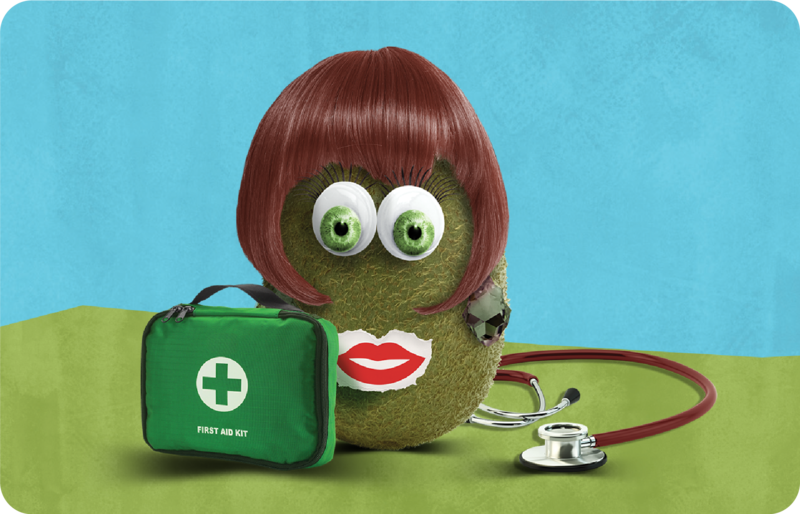 She helps our heroes stay healthy by boosting their immune systems and preventing illness. 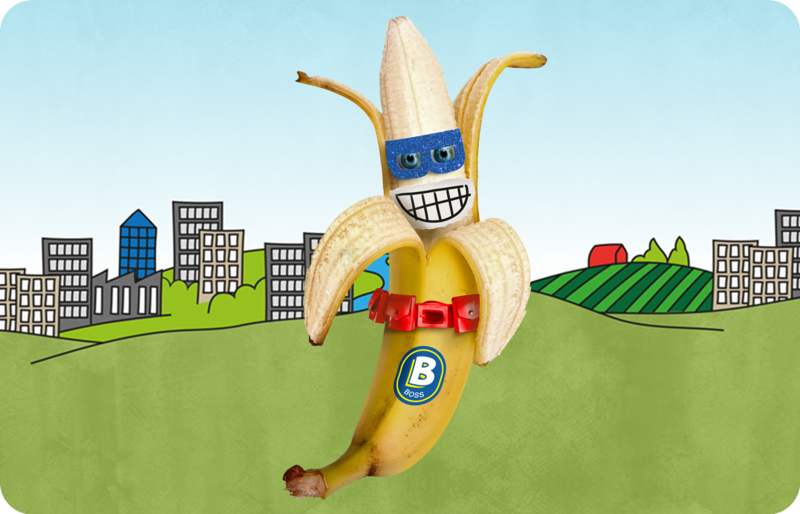 The leader of the team, Boss the Banana’s fibre helps keep everything running smoothly. When our team gets stuck, the Boss is always around to get things moving again. 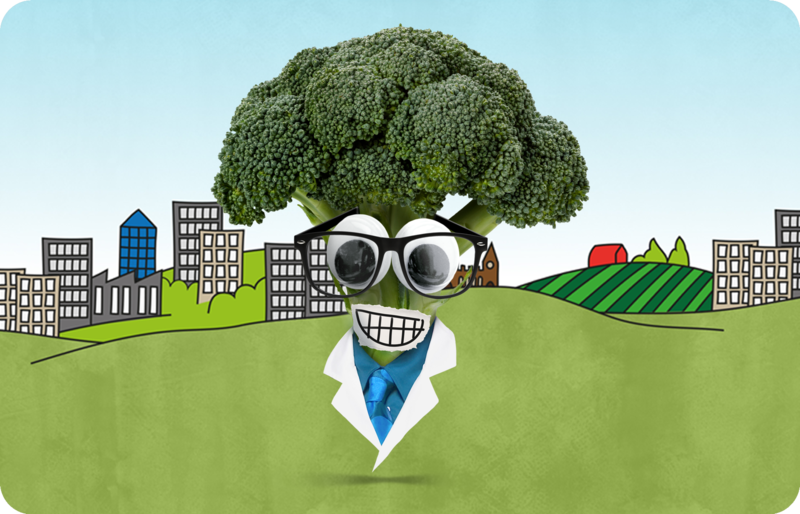 Packed full of iron to help growing minds work better, Brains the Broccoli is always on the ball to hatch perfect plans for the team. 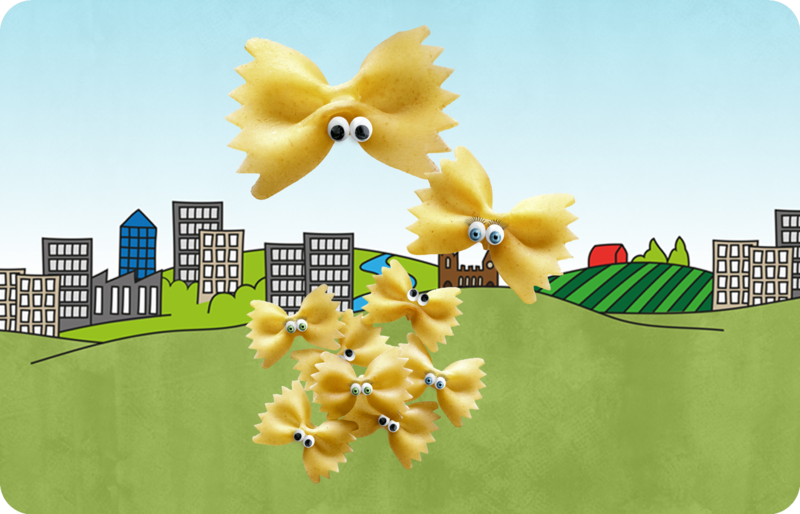 The Pasta Pack are an unruly bunch, each with their own unique personality. Their wholegrain powers make them passionate with strong hearts, and they’ll stop at nothing to defend the team. Sadie’s an eager explorer who travels the world and loves to share stories of her exciting adventures. 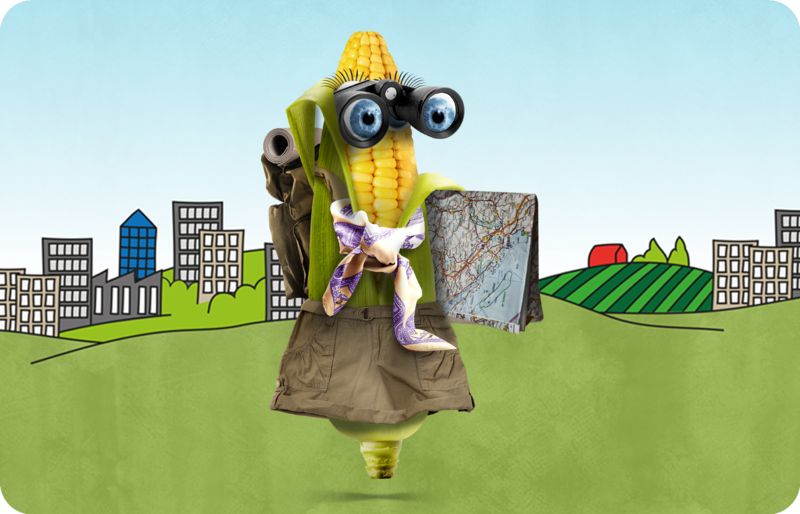 Sweetcorn is full of good stuff and can help you feel fuller for longer - which means less time snacking on bad stuff and more time to enjoy good stuff like exploring! 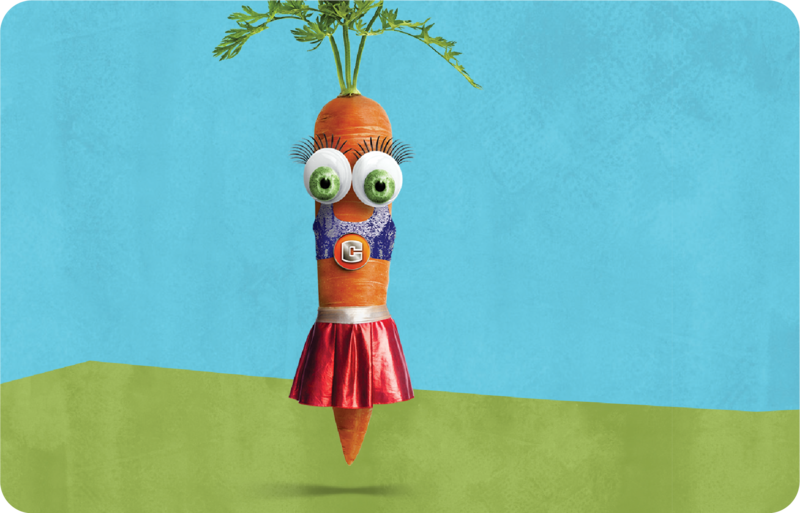 Casey the Carrot’s superhero levels of vitamin A keep her eyes sharp... even in the dark! She’s always looking out for the team. 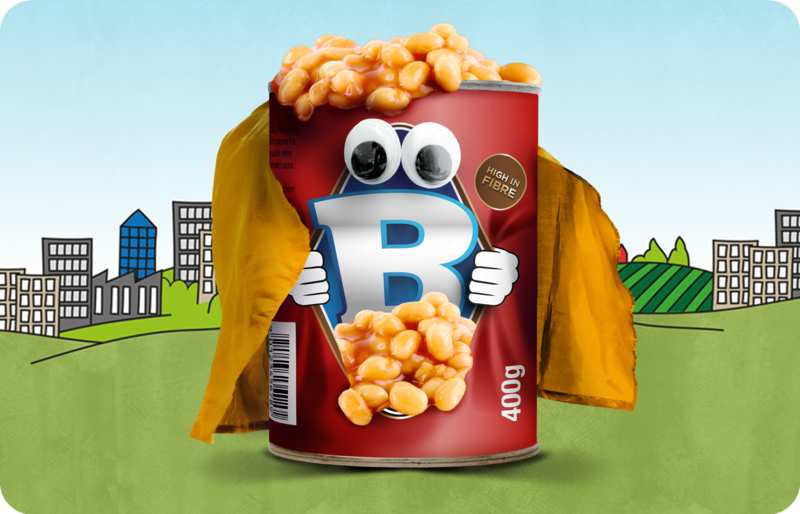 Barry the Beans packs a mighty protein punch! He’s a real body builder, using his muscle power to help build the teams energy and spirit. 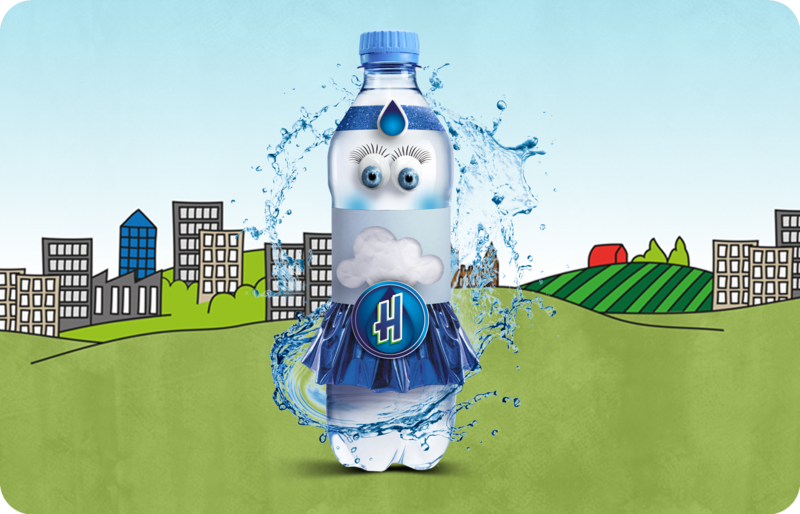 Silvertop’s super-charged calcium levels give him his super-strong bones. Our heroes can always rely on him during their adventures. 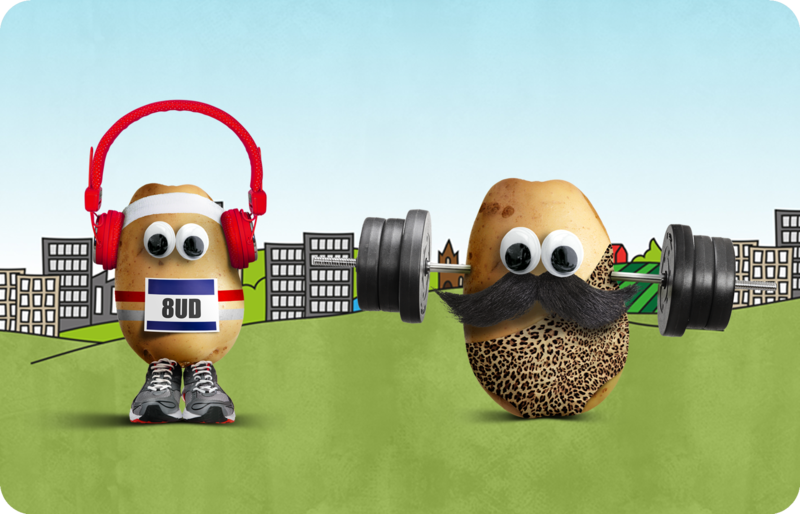 Bud ’n’ Jud the Spuds are big, but they’re bursting with energy thanks to their carbohydrate super-power. When there’s hard physical work ahead, Bud and Jud are raring to go! Hydra is always working hard to fight off evil toxins that stop the team from performing at their best. She never rests, rarely makes mistakes and her powers of concentration are immense!